﻿ The Best Email Automation Tools » Red Mango Marketing! « How Much Does Email Marketing Cost? Email marketing isn’t just writing an email and hitting send. All that effort rewards you with a boost in sales and the benefits of staying in touch with your customers, but the real good news? Email marketing gets easier with automation. Email marketing automation allows you to automatically send the right message at the right time to the right group of people, saving you and your team a lot of time and work. Because of this easy, targeted approach to email marketing, B2C marketers who connect with customers through automated emails see conversion rates as high as 50 percent. But the number one reported benefit of marketing automation is creating more and better leads. Don’t worry — email automation isn’t just for big companies’ lead generation efforts. In fact, it’s affordable and available for small businesses, entrepreneurs, nonprofits, event planners, and anyone else interested in promoting something. Email automation can help you develop more efficient and strategic email marketing, so you can save time while growing your business. Send a single welcome email, or an automated email series that nurtures potential customers through your marketing funnel. Build your mailing list with ease, then send targeted messages to specific contacts. Ready to do more business with email marketing? Start your free 60-day trial today. Learn more about our 60-day free email marketing trial. Automatically send a targeted welcome email when a new subscriber shows that they are highly interested in your brand highly interested in your brand. The average open rate for automated welcome emails is a whopping 50 percent, making them 86 percent more effective than email newsletters. Also, subscribers that receive a welcome note show 33 percent more long-term brand engagement. If you want to see even more results from your marketing efforts, send a series of automated welcome emails to your new contacts. Retailers that send a series of welcome emails see 13 percent more revenue than those that just send one. Segmenting your contact list based on their interests or level of engagement is how email automation can help you send more targeted email marketing campaigns. This is how you get the right message to the right people. But why? Well, 70 percent of consumers become frustrated when content isn’t relevant to them. This can lead to poor email marketing results, even unsubscribes and a tarnished reputation. In fact, emails that are relevant to the recipient drive 18 times more revenue than general broadcast emails. Proper email list segmentation can even double email open rates. It’s proven that marketers who use list segmentation get better results. Not every sale is a simple conversion. In fact, 63 percent of people requesting information on your company today will not purchase for at least three months, and a whopping 20 percent will take more than 12 months to buy. So how do you keep potential customers interested when they have so much time to lose interest in your product? The answer: learn how to nurture your leads. Email automation can nurture your new contacts to become new customers automatically. All you have to do is create a series of drip emails for your new leads, set it, and — you guessed it — forget it. Not only do nurtured leads more frequently turn into sales, but they also make 47 percent larger purchases than non-nurtured leads. Personalization is a tool that helps you stand out from the crowd by creating better and unique email marketing content. You can show how much you care about every one of your customers by showing your gratitude, by sending an email wishing for their birthday, or sending a thank you email on the anniversary of joining your email list. Here’s where email automation comes into play: simply create a personalized email once, and set it to send automatically for birthdays and other milestones. An automated series of emails allows you to trigger a sequence of emails at intervals of your choosing. They begin sending when contacts are added to a list. Add new contacts to your automated lists, and they’ll receive a scheduled series of emails you’ve created to keep your audience engaged—and ready to take action. It’s a cost-effective, time-saving solution that allows you to send relevant emails to your contacts at just the right time in the customer journey. You’ve heard this one before. Yes, segmenting your email contacts is a valuable email marketing strategy — but it can also be automated when using the right email marketing tools. Segmentation tools empower you to actually identify and group similar contacts—so you can send the most effective emails. Segment contacts based on the content they click to create more targeted lists, send more relevant email marketing campaigns, see better results, and make customers happy. With a personal email account, you can’t track your results. Instead, email marketing automation solutions, available within most email marketing software platforms, allow you see how your emails are performing. These real-time data collection and analytics tools report who’s opening, clicking, and sharing your emails or social posts, so you can plan your next steps. The truth is, you can’t launch any of the email marketing automation strategies we mentioned above until you have a solid list of quality contacts. Your email marketing is only as good as your list. Use mailing list-building tools and sign-up forms to find and acquire new contacts on your website, on social media, through text, and more. Let’s dive into one of the best list-building tools: Facebook Lead Ads. Creating targeted Facebook Lead Ads that collect sign-ups to add to your email list is so easy. Here’s how it works: when Facebook users click on your ad, they’re presented with a sign-up form that’s pre-filled with contact information they’ve already publicly shared on Facebook. The ads and opt-in forms are fully customizable, and you can target the ad both to the demographics that matter the most to your organization, and to a population of users who are interested in the type of goods or services you provide. You use the Facebook lead ads to collect entirely new leads, and email marketing automation to interact with and nurture them. You shouldn’t expect everyone on your list — even your most engaged readers ­­— to read every message you send out. Which brings up a big question: should you resend an email to subscribers who didn’t open your email the first time? The answer is yes. While historically you’d have to resend manually, to make sure you’re resending to the right people, there is now a way to automate this process. You can actually send to your non-openers again with a carefully designed campaign, taking advantage of your quality email list to boost your open rate in the second round. When using this tool to improve results, you can change the subject line to try a different message, and resend to contacts who didn’t open your first email. In email marketing, the second time’s the charm. One of the most valuable benefits of email marketing automation is being able to schedule out email campaigns in advance. This is a huge time-saver because you can just set them up, and get back to the other needs of your business, having the peace-of-mind that your email marketing campaigns are running smoothly. A Marketing Calendar is one of the most helpful email marketing tools as it provides an easy way to plan, create, and schedule your emails. By viewing your emails for the month in this tool, you gain a clearer idea of how much you’re sending. You also avoid the panic of trying to write and send your email at the last minute by scheduling in advance and having holidays prompts. Email marketing automation is all about setting up your system once and knowing that it’s continually working for your business while you focus your energies on other aspects important to your continued growth. Automation makes it possible, and these digital marketing tools help you get the best results. Best of all, once set up, it all happens on autopilot. For more information, check out this guide on How to Put Your Marketing on Autopilot with Email Automation. 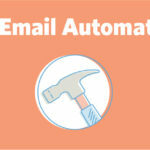 The post The Best Email Automation Tools appeared first on Constant Contact Blogs. This entry was posted on Friday, March 29th, 2019 at 3:42 pm	and is filed under Automation, Email Marketing, News & Updates. You can follow any responses to this entry through the RSS 2.0 feed. Both comments and pings are currently closed.